Why choose a commercial cleaning training package? The commercial cleaning marketplace is very large. Restaurants, schools, offices and some other commercial buildings require cleaning of the ductwork, ventilation and extraction systems to maintain their insurance (TR19 Certification). Commercial kitchens need regular cleaning and occasional deep cleans. All of this business is available for a motivated cleaner, commercial jobs can be potentially more profitable than a domestic job and cut out of multiple journey times etc. associated with doing domestic work. Why not add commercial cleaning to your cleaning repertoire and maximise on the amount of business you can generate? Who are 1st Commercial Cleaning? 1st Commercial Cleaning leads the cleaning industry in Southern England by providing the best in commercial cleaning services. 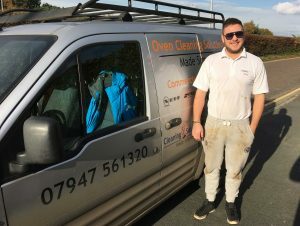 1st Commercial Cleaning have a wealth of experience in the commercial cleaning industry, our sister company OvenKing handles the domestic business whilst we take on the commercial and other large scale projects and contracts. Our training only, startup and startup extra packages all include the vitally important and comprehensive oven cleaning training. This training includes industry leading oven cleaning specific business coaching. We offer a range of packages so as we can best accommodate all trainees, our 4 day packages are the main stay and will give a full and comprehensive training course covering all facets of oven cleaning. We do also offer reduced duration packages; 1, 2 and 3 day training only courses, if you want a taste of what oven cleaning is. As well as our 2 day startup and startup extra packages for if you are a hands on person or come from a similar industry and would like to get in get done and get cleaning ovens.. we can help you with that too! 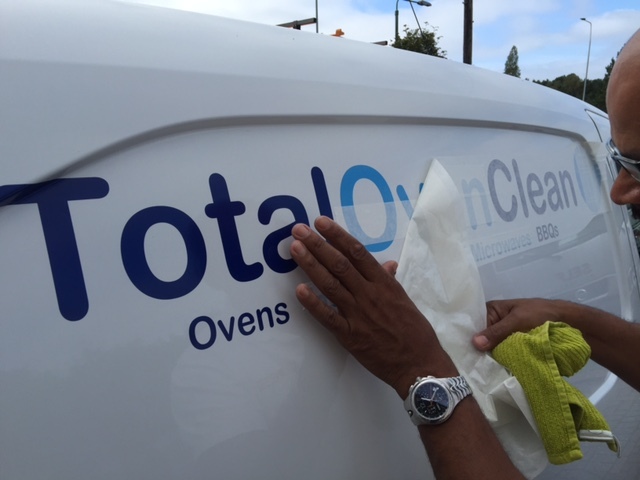 Starting your own oven cleaning business doesn’t have to be a daunting and overwhelming experience. 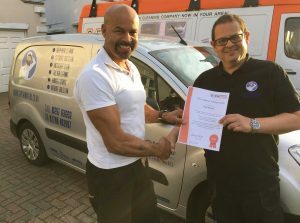 With OvenKing and our oven cleaning training you can expect all the back up, training and support required to help make that jump from employment, into the profitable world of business ownership. 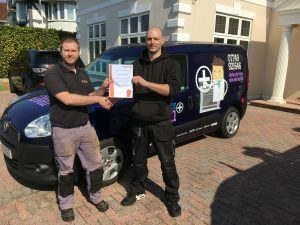 Working as an OvenKing trained graduate is very simple, our industry leading training enables you to offer a professional service that leads to repeat business and a solid reputation in your local area. The oven cleaning industry has the potential to generate you earnings of over £1000 a week if you put in the work. We ensure that you leave our offices with all the knowledge to enable you to go and start cleaning ovens on the way home! Our startup and startup extra courses are much more comprehensive, these courses provide you with a broad theoretical overview of the industry, it will also provide you with time in our workshop looking at different ovens, doors and chemicals. 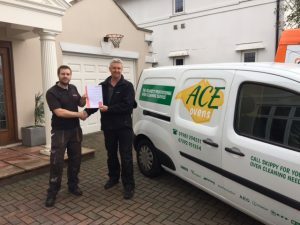 We then place you with our operators on the road gaining vital hands on experience, you get to meet customers and work through the entire process of arriving at a customers address through cleaning the oven to clearing down after the work. 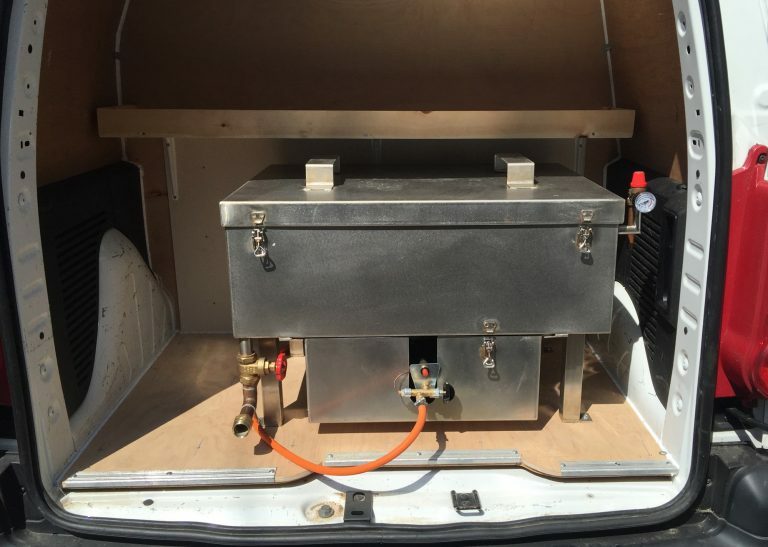 While you are on the road OvenKing will fit out your van, providing paneling, shelving and a dip tank. Further to this you get kitted out with all the tools to get your business started too. The extra package includes for you OvenKing expertise not found elsewhere for setting up your entire corporate style from your website and email addresses through to flyers, business cards and van livery. We make sure that you leave OvenKing with a clean and professional looking company image and the knowledge to backup that style with excellent oven cleaning capabilities.